Offer $15 discount!!! Get at $19.9!! 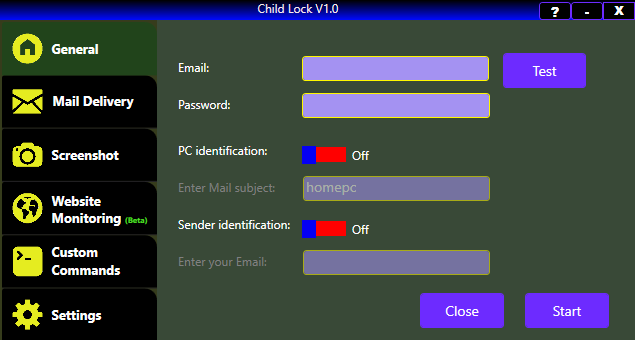 Child Lock is a software which is used to monitor and control remote computer/computers from any location using your email account. Relevance for this software tool comes in the case of parental control. Parents can control and monitor their children when they use computers even if they are away from home. They can also send messages and commands directly to their child’s system and the computer system acts accordingly. 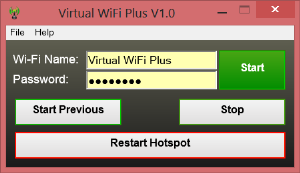 Not only for parental control, this software can be used by anyone to monitor and control one’s PC. The application is authorized using password and protect Child Lock from disabling. Child Lock provides certain commands for monitoring the client PC. 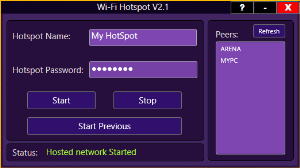 Commands can be provided to find out the active apps that are currently running on the client computer and also the website visited can also be monitored. Screen shots can be captured on providing a particular command. Commands are also available for sending and receiving messages. The client computer can be control/monitor from anywhere through your email using your phone or laptop and which is the biggest advantage of this software. The application also provides features such as sending messages to and from the client and also receiving the responses for them from the authorized computer user. It is also possible to monitor multiple PC’s through single command or separate commands. >> Shutdown, restart, hibernate etc. >> Run application, exit application etc. >> View running applications, process etc. 2. Send a mail as command to configured email address from your email account. That’s all! you will get reply in your mail from Child Lock. For desired commands download Child Lock User Guide, which contain detailed instructions of using Child Lock with examples.